If you've got a question about our new New Zealand delivery service, chances are, we've already thought of it first. Take a look through our Frequently Asked Questions below - and if you're still curious, click here to email us. Your order will be delivered by New Zealand Post between two to three working days after it leaves our warehouse. We're unable to request that New Zealand Post leave your parcel unattended at an address, so if no one is present at the delivery address to sign for your order, it'll be taken to the nearest New Zealand Post Office and a card will be left in your mailbox. "Are there any products that aren't able to be sent to New Zealand?" 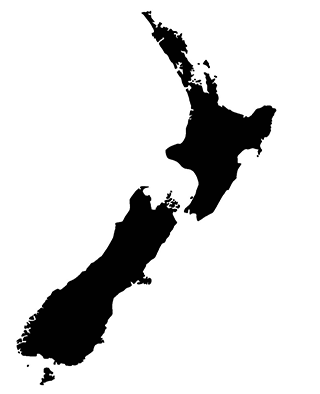 Yes - due to international aviation restrictions, we're not able to send perfumes and aerosols to New Zealand. You'll receive a notification during the checkout process if any of the items you're ordering can't be sent to a New Zealand address. Orders to a total value of NZ $220 or more may attract import duties when entering New Zealand. These charges are issued by the New Zealand government and are payable by the recipient of the order. The recipient may need to pay these charges before they can take delivery of the order. Any fees or duties are the responsibility of the recipient and cannot be reimbursed by Peter's of Kensington. Visit customs.govt.nz to check whether your order will attract any additional charges. "Are the prices shown on your website in New Zealand dollars?" "How can I work out the current exchange rate betweeen Australian & New Zealand dollars?" "Does Australia's Goods and Services Tax (GST) apply to purchases delivered to New Zealand?" We do, however, mark orders as gifts when they are posted. We will only request to have the faulty item sent back to Australia if there is no way to have a New Zealand agent assess the product or perform the repair. "Can I use electrical goods from Australia in New Zealand without an adaptor?" Yes, the standard household electric wall socket is the same in both Australia and New Zealand. You won't need a special adaptor or modification to use any electrical product sold at Peter's of Kensington.